Home Inspector Websites - Why do you need one? A website is imperative for a home inspection business. In fact, most of your clients are going to find you on the web via these home inspector websites, if they don’t find you through a referral. Not everyone looking for a home inspector is using a real estate agent, and they might not be contacting you about purchasing or selling a home. They may be contacting you because they want to know what needs to be fixed in their home. So how do you go about making a home inspector website that will impress and convert a potential client into a client? Take a look at the top three mistakes made by home inspectors when making a home inspection website, and then look at what you can do to make your site easy to use and professional. A website should be the first, or one of the first things done after you have decided to have a career in home inspection. Why? because it usually takes about a month or so for the major search engines to properly index your site. And 3 to 6 months for your site to show up in the desired search terms. Example of a search term would be “home inspectors in your city, area, or community/village”. 1. You’re trying too hard. A client wants a home inspector who is confident, old-fashioned, and knowledgeable. If you make your site look great with a lot of moving parts, people will move on. A good looking website, without looking like you’re a franchise or insecure, is the best option. 2. There’s too much going on. People often refrain from home inspector websites that have pictures scattered everywhere, videos on every page, slide shows, flashing, and moving backgrounds on every page. It takes too much time for people to figure out you’re a professional home inspector, and they’ll quickly find a site that isn’t as busy. 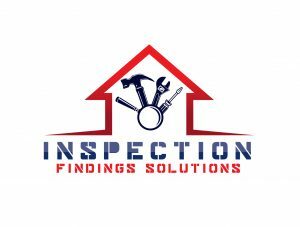 There are only a few seconds to impress upon people you are a home inspector, you service their location, and you’re good at your job. 3. There is too much of you on the website. You need a picture of yourself on the website to make people trust you, but no one wants to see a picture of you at your last beach vacation or on your last hunting trip. People have strong personal viewpoints, and even the slightest little thing can turn them off. Keep your pictures and wording truthful but neutral. Get a professional photo done. Content is imperative on a home inspection website, but there is a right way and a wrong way to everything. The right way to put content on a site is to write it yourself, or at least hire a ghostwriter and give them the keywords you would like, as well as a general idea of what you want. Just make sure you have a good ratio of the information on your site. For example, if you have nothing but electrical wiring articles on the site, Google will think you’re an electrical engineer and not a home inspector. The main words to have on the site the most often are ‘home’, ‘inspector’, and ‘inspection’, along with the locales you’re servicing. If you want to keep it simple, make sure you still have enough content on your site to keep people informed. There should be a few different pages with a few hundred words (300 or much more). Two-hundred words on a website don’t give Google much to go by, so your site will be passed up in search engine results. Importance of SEO to be found. Everything should be large enough for people to read, buttons should be displayed prominently, and phone numbers should be displayed on every page. Clients are going to leave quickly if there is no way to get in touch with you. Clearly label the menu. There is nothing more frustrating than trying to figure out how to get around the site. Have a simple menu that is clear and concise. Studies demonstrate that the average consumer will prefer a top menu over a side menu. Make sure the website is mobile friendly. Many consumers are now using their tablets or phones to search the internet, and they will leave fast if the website is not mobile friendly. As much as you might not like it, blogging is an important part of having a website. Search engines are looking for new content all the time, so use the eighty-twenty rule. Eighty percent of the blog should be information about the topic, and twenty percent of the information should be advertising your services. It’s important you do not get those numbers mixed up. Have good information on your blog, but make sure people understand you and your company. Watch the keyword ratios. Blog about what matters to clients in a two week period they think about a home inspector, such as home inspection contingencies, appraisals, and DIY repairers. You might like your website, but if no one else does, then it’s pretty useless. Get a friend to see if they would hire you from your site. Don’t fish for a compliment. Ask for their honest opinion. A good idea is to send someone three different sites, one of them yours, and see which one they choose and why they chose it.